This adapter bolts into place of the factory MDP sensor on top of the stock 2G intake manifold. Multi stage Boost Controller with dual ramp per stage. 2 control solenoids included. AEM’s 4-Channel Wideband UEGO Controller is a must for anyone using an engine management system or data logger to monitor and/or tune individual cylinder AFR to for maximum engine performance and reliability. AEM Series 2 Programmable Engine Management System (EMS) plugs directly into your 2G DSM's (95-99) or Evo 8 factory ECU harness and requires no additional wiring or hardware. Active traction control and power-shift function. Introducing AEM's new Flex Fuel Content Sensor Kit! This sensor measures the fuel's ethanol content and temperature, which allows users with a programmable engine management system the ability to optimize and engine's tuning calibration for ethanol content. All gauges come with black or white face. All gauges come with black or white face. 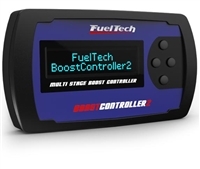 These AEM Electronics TRU-BOOST gauge-type controller kits feature an electronic boost controller that combines the simplicity of a manual boost controller with the added ease of adjusting boost levels through a gauge interface. 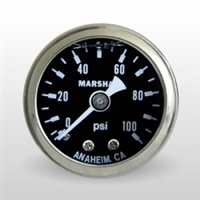 AEM X-series UEGO Wideband Gauge. All gauges come with black or white face. 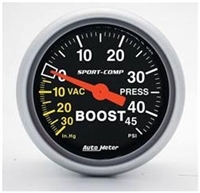 Autometer Analog Boost Gauge Liquid filled for accurate, steady readings. 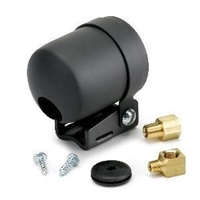 Universal gauge pod that will fit all AEM and Autometer gauges. This harness makes the installiation of a 1g style Cam Angle Sensor into a 2g car simple! 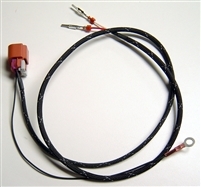 This cable provides a direct connection to the ECU to run a GM MAF. ECMLink provides the translation. However, this cable does require the use of ECMLink V3. The complete set up for running speed density with ECMLink. 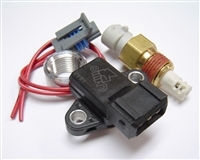 A reliable 4-bar MAP sensor and a GM IAT sensor complete with pigtails and bung. The complete set up for running speed density with ECMLink. 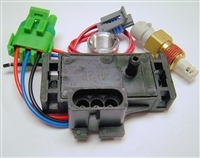 A reliable 4-bar MAP sensor with a Mitsubishi MDP style connect end and a GM IAT sensor complete with pigtails and bung. 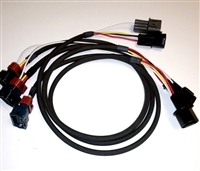 This cable allows the user to install a GM or AEM IAT sensor and any GM-style MAP sensor (including ECMLink's 4-bar GM-style sensor) without the hassle of cutting wires on the factory wiring harness. Just plug this harness in to your stock MAS connector and your IAT/MAP sensors and you're ready to go! 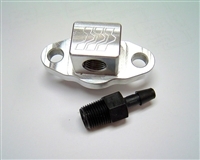 This harness adapter has a connector for a standard GM-style ethanol sensor on one end and loose terminals on the other end that plug into our SD cable's MAF connector. These cables are provided as replacements for lost or stolen V3 ECMLink cables. AEM Air Inlet Temperature Sensor Kit AEM 3.5 Bar or 5 Bar MAP Sensor Kit.